Millions of people around the world suffer from diabetes, but until the 1920s there was no treatment for it. Sir Frederick Banting was a Canadian scientist whose pioneering work using insulin to treat diabetes earned him the Nobel prize. He only lived to be 49 but on November 14 – what would have been his 125th birthday – Google has celebrated him with a commemorative Doodle. November 14 is also World Diabetes Day. For your body to use glucose, the fuel that comes from carbohydrates, it must be transferred from the blood to your body’s cells to be used up as energy. The vital hormone that allows glucose to enter cells is called insulin and it is normally produced naturally in the pancreas. If this process doesn’t happen, the level of sugar in the blood becomes too high. Being unable to naturally produce insulin is the disease known as diabetes. More than 4 million people in the UK are diagnosed with it, and it is a major cause of kidney failure, heart attacks and blindness. Who was Sir Frederick Banting? Frederick Banting was born on November 14 1891 in Alliston, a settlement in the Canadian province of Ontario. He served in the First World War despite initially being refused while in medical school for poor eyesight since the army wanted more doctors on the front line. Scientists including Edward Schafer had speculated that diabetes was caused by a lack of a protein hormone produced in the pancreas, which Schafer had named insulin. Previous studies had noted that patients with diabetes had a damaged pancreas. Sir Frederick got to work on looking into the matter further and in 1921 the University of Toronto gave him 10 dogs on which to practise. On one dog, the pancreas was removed, resulting in it getting diabetes. On another test subject, Sir Frederick removed the dog’s pancreas but ground the pancreas up and created an injection. Giving the diabetic dog a few injections a day kept it healthy. In 1922, a 14-year-old boy named Leonard Thompson became the first person with diabetes to be treated with insulin, and ended up recovering rapidly. Many other patients responded well to insulin injections. Soon after the medical company Eli Lilling began producing large-scale quantities of insulin. The discovery of the drug was seen as a miracle, saving millions of lives. The Nobel Prize in Physiology or Medicine was awarded to Sir Frederick and John Macleod, who had helped the research get funded, in 1923. King George V knighted Sir Frederick in 1934. The doctor suffered an untimely death in 1941, at just 49, when the Lockheed Martin Super Electra plane he was flying en route to England lost power in both engines and crashed shortly after takeoff from Gander in Newfoundland. Sir Frederick died of his injuries the next day. Today, insulin is produced by growing bacteria, although pig pancreases were used for a long time until the 1980s. According to the World Health Organisation, 422 million people had been diagnosed with diabetes in 2014 and the global prevalence had risen from 4.7 per cent in 1980 to 8.5 per cent. However, around the world, half of those with diabetes are not diagnosed. The WHO predicts that it will be the 7th leading cause of death in 2030. 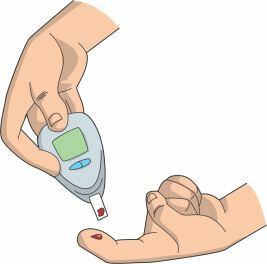 There are two main types of diabetes: Type 1 is when the body attacks the cells that produce insulin while Type 2 is when the body does not respond to insulin. Our service of personal physiotherapy offers individual and private sessions of physical activity foccused on Diabetes. You can check this link for more information. This entry was posted in Knowledge and tagged awareness, diabetes mellitus, diet, insulin, treatment, type 2. Bookmark the permalink.